tutte le attrezzature necessarie per il bambino. This past September 2018 friends and I had the opportunity to call this lovely property our home for two weeks. We had a truly wonderful time and the property proved to be nearly perfect for our needs. Our hosts were lovely to work with and throughout our stay, were available should anything be needed. That's a very nice touch! The home is extremely comfortable, nicely appointed and true to the photographs that were listed when we made our reservation. The immediate vicinity is very calm and quiet, however noise does travel within the house. There were two matters that we were a bit surprised and disappointed in. Because of the weather, nearly every day in the morning we would find large dark spiders in the home that we'd have to deal with - places like the bathrooms, kitchen, living room, and foyer. When we notified the owner, he just said it's normal for the season and offered no remedy. Hmmmm.... The second was that when we left, we opted to clean the residence ourselves instead of paying an additional 70euro for the cleaning. Suffice it to say we left it much cleaner than we found it. Be attentive on your arrival because I believe their cleaning service needs to be revisited. Even with these two matters, we were very happy with our stay and would return. Thank you. nous avons passé une super semaine dans ce gite confortable avec un jardin magnifique. nous avons profité de la piscine car il a fait tres chaud . l'endroit est idéal pour visiter tous les sites environnants. madame Delteil et Nicolas ont été charmants et trés prévenants. Nous garderons un merveilleux souvenir de notre semaine passée à SARLAT, que nous avons découvert en une semaine. 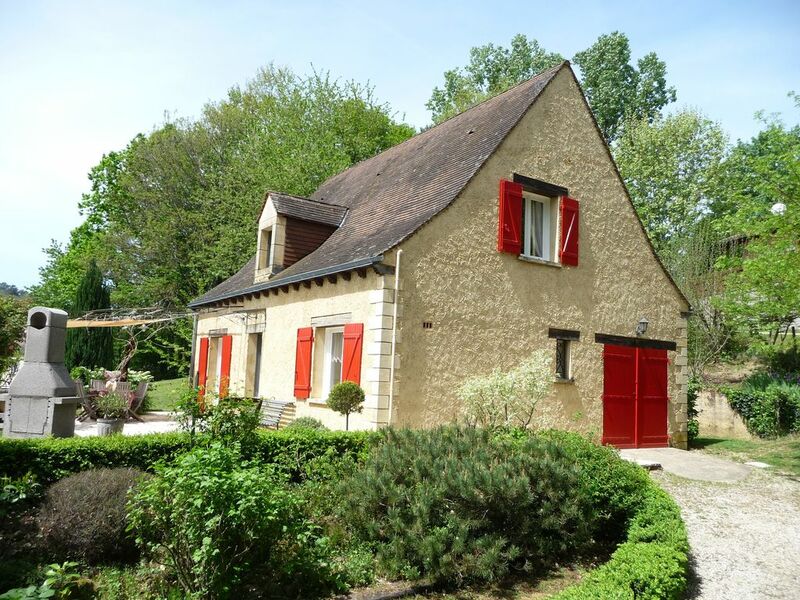 Le gite est tout simplement parfait : propre, chaleureux et confortable. Tout est soigné et décoré avec gout. Merci à la propriétaire de faire confiance en ses locataires pour mettre à disposition une si belle demeure, qui accepte les animaux en plus ! En un mot : nous avons passé d'excellentes vacances ! Merci Madame ! Très belle location. Tout le confort y est. Le jardin est très agréable aussi . Les propriétaires sont très sympathiques et très accueillants.